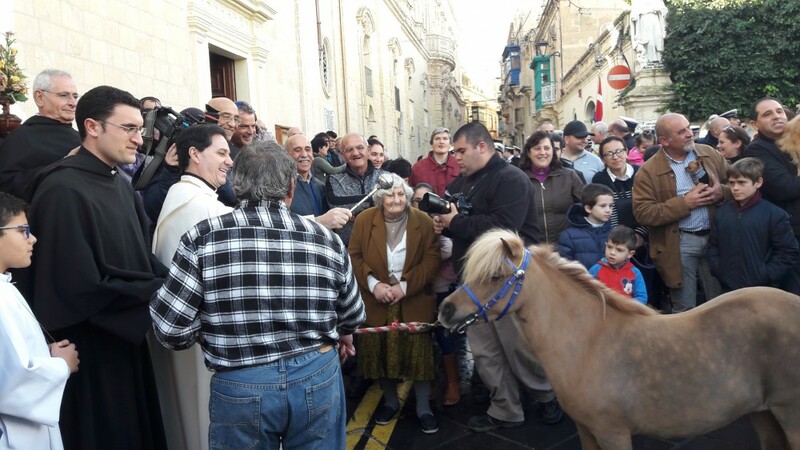 Saqqajja and St Augustine Square in Rabat looked more like Noah’s Ark this morning, when a large variety of animals were taken there for the feast of St Anthony the Abbot, to be blessed as part of the oldest animal blessing ceremony, following a precession from the church of St Mark. Despite the rain which had poured down just a short time before the start of the procession with the statue of St Anthony the Abbot from the church of St Augustine, a good number of families congregated in the Saqqajja area, with their domestic animals, which included horses, dogs, cats, birds and even a peacock. Children and parents were happy to await the blessing to be bestowed by the priest on their cherished pets. The peacock with its rich and exotic feathers drew most attention, as it stood out among the other animals. Other animals taken to be blessed by the patron saint of animals included tortoises, rabbits, ponies and donkeys, among others. 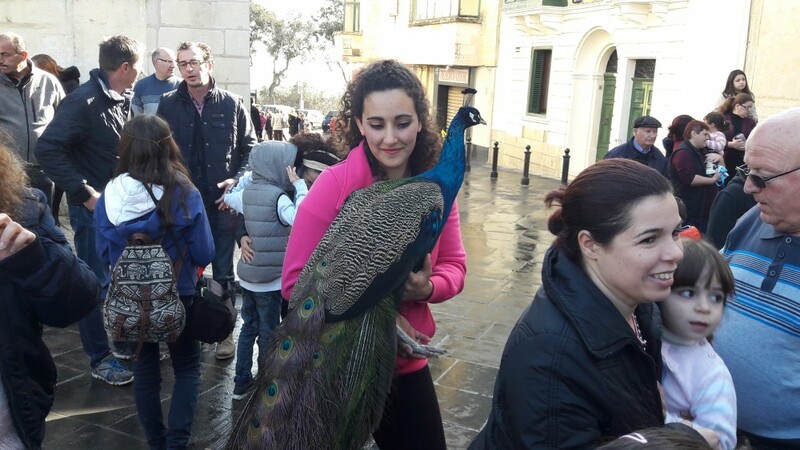 This feast also caught the attention of numerous tourists who happened to be in Rabat, and who stopped to admire one of the country’s oldest traditions. The feast of St Anthony the Abbot in Rabat is the oldest feast of the blessing of animals, and goes back to the time of the the Order of St John, when the Grand Master used to send his anials to be blessed. The life of St Anthony bears witness to this saint’s affinity with animals. This feast is celebrated by the Augustinian community in Rabat with a procession with the old statue of St Anthony from Saqqajja, accompanied by the L’Isle Adam Band.